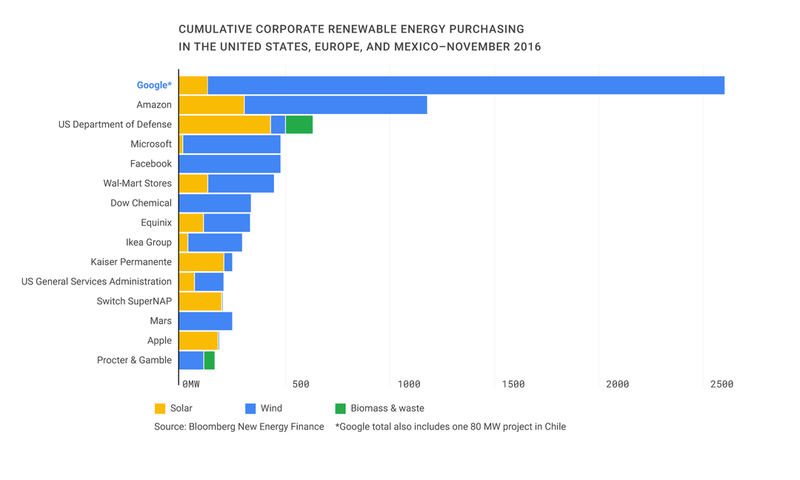 Currently, they are the world’s largest corporate buyer of renewable power, with commitments reaching 2.6 gigawatts (2,600 megawatts) of wind and solar energy. 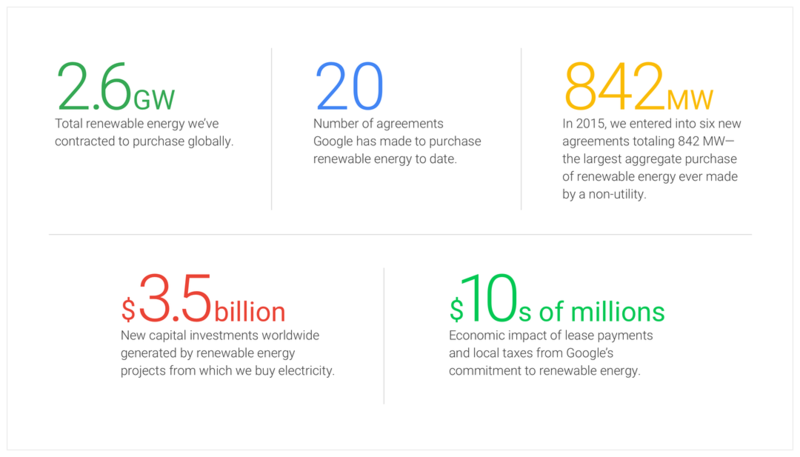 The two charts below illustrate not only illustrate the degree to while Google leads competitors in their renewable energy purchasing, but also breaks the numbers down. You can read the original post on Goggle’s blog, here.